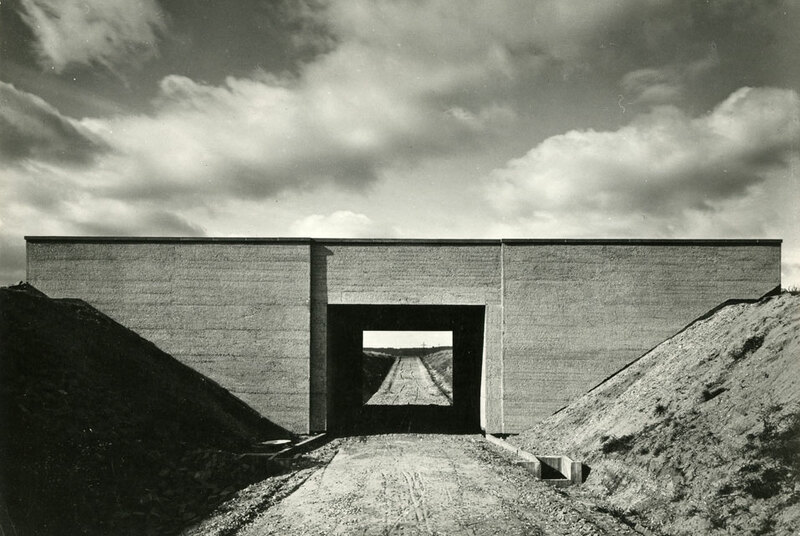 Werner Mantz (1901-1983), Br?cke, K?ln, 1927. Gelatin silver print, printed later, 16,7 x 22,5 cm. St?del Museum, Frankfurt am Main© VG Bild-Kunst, Bonn 2013. Eigentum des St?delschen Museums-Vereins und des St?del Museums. FRANKFURT.- The Photography Collection of the St?del Museum in Frankfurt receives a significant addition to its holdings. With support from the Kulturstiftung der L?nder and the Hessische Kulturstiftung, the St?delsche Museums-Verein and the St?del Museum have acquired a comprehensive body of photographs from Rudolf and Annette Kicken. Apart from this purchase of a total of 524 works spanning from New Objectivity and Bauhaus photography to Subjective Photography, 649 photographs are handed over to the collection of the St?del as a generous donation by Rudolf und Annette Kicken. This compilation depicts the most important tendencies of European photographic art in the first half of the twentieth century and comprises icons of the history of the medium such as works by Leopold Ahrendts, Gertrud Arndt, Hugo Erfurth, Rudolf Koppitz, Heinrich K?hn, Man Ray, Albert Renger-Patzsch, Franz Roh, Werner Rohde, August Sander, and Otto Steinert. The outstanding body of 1,173 works closes a significant gap in the collection of the St?del and allows the Frankfurt museum to offer a survey of photography from its beginnings until the present under one roof with its Photography Collection which it has continuously built up since 2008. The art of photography and its historical development are thus given a permanent home in Frankfurt am Main by the St?del Museum. “What makes this body of pictures unique is not only the works’ extraordinary rarity and perfect condition, but also, and particularly, their special quality. We are more than happy about the transfer of this historical testimony to the visual knowledge of those times’ generations of photographers to the St?del. We have been able to build up a wide-ranging collection of photographs for the museum in large steps with strategic acquisitions and thanks to substantial donations during the last five years and thus set the course for both the collection and the up-to-date presentation of artistic photography in the museum. The acquisition also pays tribute to Rudolf Kicken’s fundamental pioneering feat concerning the reception of photography- and the donation accompanying it pleases and honors us highly,” says Max Hollein, Director of the St?del. The body of works could be purchased by the St?delsche Museums-Verein and the St?del Museum with support from the Kulturstiftung der L?nder and the Hessische Kulturstiftung. It is characteristic of the body of works from the Kicken Collection that each position is not represented by a singular picture only, but by an illustrative group of high-caliber photographs. This thinking in workgroups corresponds to the practice of artists in this field who mostly explore their subjects in several series, groups, or photo books. Thanks to this composition, the St?del will not only be able to present an artist’s work in its width, but also in the depth of his conceptual approach. This is exactly what Dr. Felix Kr?mer, Head of the Modern Art Collection at the St?del, considers to be the special appeal of the new addition to the museum’s Photography Collection: “With the new presentation of our Modern Art Collection in November 2011, the photographic holdings of the St?del have been integrated into the permanent collection as an equally important artistic means of expression. The joint presentation of painting, sculpture, and photography permits us to focus on the interplay between the various media in a way which is still unique in Germany today. The Kicken Collection allows us to pursue and extend this cross-genre dialogue on the highest level. The Acquired Body of Works. The emphasis of the purchased body of works is on two important tendencies of photography in the 1920s and 1930s: on New Objectivity, whose representatives like August Sander, Albert Renger-Patzsch, Werner Mantz, Alfred Ehrhardt, or Ernst Fuhrmann strove for an exact depiction of the world surrounding them as well as its social upheavals and created landmarks of landscape, portrait and architectural photography, and on Bauhaus photography in the form of a unique group of sixty photographs by such artists as T. Lux Feininger and Lucia Moholy. Using the camera as an experimental device drawing attention to the life and work at the Bauhaus, these photographers contributed essentially to the public perception of the school and the objects produced there. The emergence of National Socialism resulted not only in the closure of the Bauhaus. The entire photographic avant-garde found an abrupt end under the political upheavals of the time. The pictorial ideas of the 1920s and 1930s would not see a revival before the years after World War II. Another emphasis of the Kicken Collection is on works from this period. A comprehensive selection of photographs by the “fotoform” group, represented by Otto Steinert, Peter Keetman, Heinz Hajek-Halke, Toni Schneiders, or Ludwig Windstosser, stands for these new artistic endeavors in Germany. Steinert coined the expression Subjective Photography, which today not only describes the style of the group, but rather the approach of a whole generation of photographers. His famous work Ein-Fu?-G?nger (1950) ranks among the most famous pictures newly added to the collection of the St?del Museum. Accompanying the body of acquired works, another 649 photographs are transferred to the St?del Museum as a generous donation by Mr and Mrs Kicken. Besides early pictures from the nineteenth century comprising examples of landscape and architectural photography by Leopold Ahrendts, Ferdinand Schmidt, August Kotzsch, and others, and highlights of Pictorialist photography from about 1900 by such artists as Heinrich K?hn or Rudolf Koppitz, the donation includes a singular assortment of Czech avant-garde photographs of the 1920s and 1930s. Artists such as Josef Sudek, Jarom?r Funke, or Franti?ek Drtikol had a decisive influence on the development of the photography of their time, forging a bridge from still Pictorialist approaches to New Objectivity. The donation also encompasses two sets of works by Florence Henri and Man Ray. Portfolios with prints of Modernist photography (by Umbo, Paul Citroen, Werner Mantz), published by the gallery in accordance with the artists or their executors, round off the collection. The Kicken Gallery and Collection. Rudolf Kicken ranks among the pioneers in the field of European photo galleries. When Kicken, together with Wilhelm Sch?rmann, opened the Lichttropfen (Drops of Light) Gallery in Aachen in 1974, from which the Kicken Gallery would emerge, photography was not yet established as a genre of art in Europe. The years in Cologne made Kicken the leading gallery for artistic photography in Europe and did a lot for affording photography a status of its own that placed it on an equal footing with other genres of art in Germany, too. Since 2000, Rudolf Kicken has been running the gallery in Berlin together with his wife Annette. Their longstanding expertise of the particular artistic qualities of the medium has made Kicken one of the most important photo galleries in the world. Besides selling, the gallery has been very involved in working together with renowned museums. Numerous of the works now added to the St?del Museum’s Photography Collection have been presented in major relevant exhibitions in important museums in recent years. “Photography is our passion, which is why we are very happy to have found a place with the St?del where our idea of photography as an equally important artistic medium is realized in an ideal manner. The presentation of the museum’s collection exemplifies how an era’s different forms of art interweave and elucidate each other. This has always been our concern, too. We have come full circle with this collaboration in a special way: the key experience was Wilfried and Uta Wiegand’s commitment, who already decided to make Frankfurt the home of their collection three years ago. We gladly follow their example now as we understand the thorough appreciation shown to photography in the St?del in all its details and welcome it emphatically. We are very happy that our collection has arrived at the right place,” thus Rudolf and Annette Kicken’s comment on the transfer of their works to the St?del. The Photography Collection in the St?del Museum. With the acquisition of 1,173 works from Kicken, the St?del Museum closes a significant gap in its still young collection of photographs by the highest art-historical standards. After the integration of the early era of photography with the acquisition of the Wiegand Collection in 2011 – also accomplished by the St?delsche Museums-Verein with financial support from the Kulturstiftung der L?nder and the Hessische Kulturstiftung – and the incorporation of contemporary photography into the holdings of the St?del Museum with the transfer of 220 works from the DZ BANK Kunstsammlung in 2008, the historical arch spanning these two poles can now be completed in an ideal manner with the treasures of Modernist photography from the Kicken Collection. A selection of the new additions to the St?del’s Photography Collection are being shown in the museum’s Modern Art presentation for the first time. List of artists: Leopold Ahrendts, Friedrich Albert, Ludwig Angerer, Ottomar Ansch?tz, Gertrud Arndt, Bloudilov? Atelier, Ellen Auerbach, Gerd Balzer, Josef Bartu?ka, Eugen Batz, Herbert Bayer, Irene Bayer, E. Benecke, Jan Beran, Curt Berger, Ladislav Emil Berka, B?hmer & Jonas, A. B?hmer, Katt Both, Adolphe Braun, V?clav Chochola, Paul Citroen, Edmund Collein, Erich Comeriner (comofot), Horacio Coppola, Franti?ek Drtikol, C. J. von D?hren, Josef Ehm, Alfred Ehrhardt, Franz Ehrlich und Heinz Loew, Hugo Erfurth, T. Lux Feininger, David W. Feist, Ladislav Foltyn, Walter Funkat, Jarom?r Funke, Ernst Fuhrmann, Gregor Baldi & Friedrich Karl W?rthle, Andreas Groll, Karel H?jek, Heinz Hajek-Halle, Miroslav H?k, Wilhelm Hammerschmidt, Franz Hanfstaengl, Jaroslava Hatl?kov?, Jan Hellich, Albert Hennig, Florence Henri, Vladimir Hipman, Irene Hoffmann, Tibor Honty, Jaeger und Goergen, V?clav J?ru, Grit Kallin-Fischer, Peter Keetman, Klaus Kinold, Premysl Koblic, Bela Kol?rov?, Rudolf Koppitz, August Kotzsch, Jaroslav Krupka, Heinrich K?hn, Jaroslav Kysela, Siegfried Lauterwasser, Jir? Lehovec, Erna Lendvai-Dircksen, Karel Ludwig, Jan Lukas, Werner Mantz, Henry Marco, Lucia Moholy, Georg Muche, Adolf Nov?k, Karel Nov?k, Pim Van Os, Gyula Pap, Max Peiffer Watenphul, Gertrud Preiswerk, Josef Pro?ek, Man Ray, Vil?m Reichmann, Albert Renger-Patzsch, Franz Richard, Heinrich Riebesehl, Franz Roh, Werner Rohde, Hajo Rose, Jaroslav R?ssler, J. Roz?nkov?, Rudolf Franz Lehnert & Ernst Heinrich Landrock, August Sander, Jan Saudek, Ferdinand Schmidt, Joost Schmidt, Otto Schmidt, Adolf Schneeberger, Toni Schneiders, Fritz Schreiber, Herbert Sch?rmann, Friedrich Seidenst?cker, Lotte Stam-Beese, Anton Stankowski, Otto Steinert, Bohumil ?tep?n, Grete Stern, Wolf Strache, Karl Straub, Carl Str?we, Jindrich ?tyrsk?, Josef Sudek, Zdenek Tmey, Anton Josef Trcka, Umbo, Franti?ek Vobeck?, Hans Volger, Josef Vor? ?ek, Wigand & Hutter, Ludwig Windstosser, Eugen Wi?kovsk?.